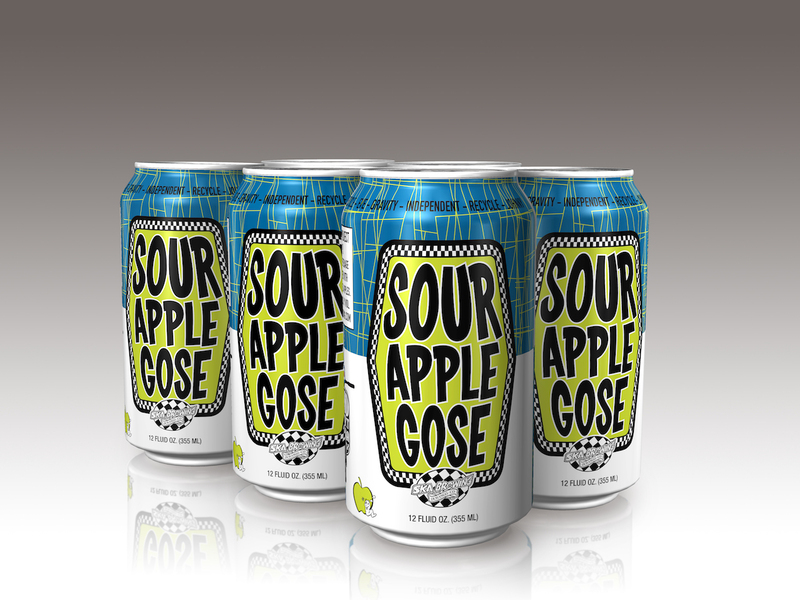 (DURANGO, CO) — Ska Brewing’s Sour Apple Gose returns in cans for a second year. This tart, refreshing beer in Ska’s experimental Mod Project series is now available across their twelve-state distribution footprint while supplies last. The scent of sweet apple blossoms complements the soft honey notes and fresh lemon tartness in this sour beer that gets a zesty boost from the addition of Citra hops. Sour Apple Gose is 5.1% ABV and 11 IBU. Sour Apple Gose followed Pink Vapor Stew— a sour beer brewed with beets, carrots, ginger and apples—when Ska first rolled out the Mod Project in 2017. The project delivers assorted, seven-barrel-batches of blended and experimental offerings, with varying levels of tartness to complement the blend of local fruits used in producing them. Sour Apple Gose is available in 12 oz. cans and on draft in select locations in Colorado, Arizona, Southern California, Hawaii, Illinois, Iowa, Kansas, Minnesota, Missouri, Nebraska, New Mexico, and Utah. Based in Durango, Colorado, Ska Brewing was founded in 1995 and produces more than a dozen award-winning beers fueled with Ska music, and lots of it. Pioneers in the canned craft beer movement, Ska Brewing is known for an array of styles in 12 oz cans including Modus Hoperandi, Mexican Logger, Euphoria and Pinstripe. For information (a lot of it), music, and a good time, visit www.skabrewing.com.